Aquaventure Dive & Photo Center has a special pool on-site to provide our customers with a convenient access to training and pool tune-ups. 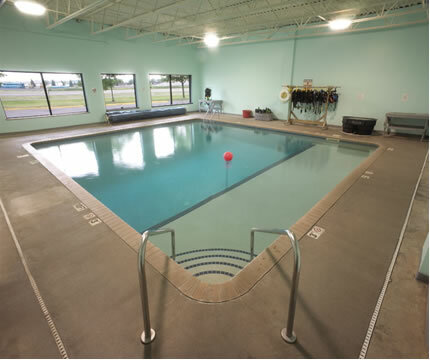 Whenever our pool is not occupied with classes, you are welcome to stop by for a pool tune-up or just blow some bubbles and relax! Pool time can be reserved for groups, birthday parties and other special events. We have the finest rental equipment available if you do not own your own gear. Customers who have purchased major scuba items from Aquaventure, including: Complete scuba systems, regulator, BCD, drysuit or camera system, may try their new purchase in our pool at Aquaventure Dive & Photo Center free of charge! Travelers who join Aquaventure on our scuba trips also receive complimentary pool tune ups. All scuba divers must be certified and we require that you show proof of certification. Remember to bring your certification card. Waivers and medical releases are required for all participants.